Laura Karner is a graduate of the Randolph Academy for Performing Arts. She has an extensive performance history both in the United States and Canada. Favorite roles include: Hermia in A Midsummer Night’s Dream, April in Company and Maria in The Sound of Music and Catherine in Pippin. 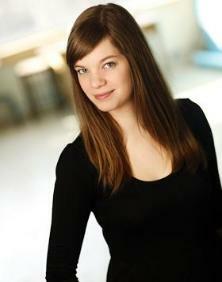 Ms. Haley has trained in all areas of performing arts including voice, dialects, acting, musical theatre and dance. She produces cabarets throughout the Pittsburgh area. In addition to performing on stages across Pittsburgh, she has performed at Walt Disney World, Sea World, Kennywood and Hersheypark.